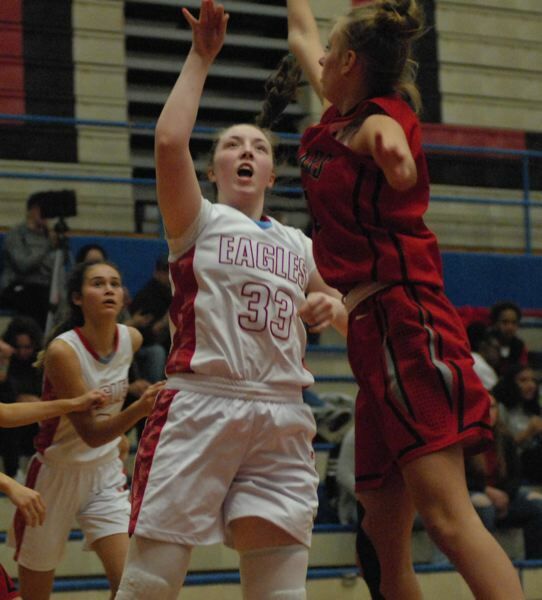 The Centennial girls basketball team returns a familiar crew from last year's squad that came up one win short of finishing in the top half of the Mount Hood Conference last season. Leading this year's crew is senior guard Domonique Andrews, who was the team's leading scorer last season. "She can be a little streaky, but she's had some really big 30-point games for us," Centennial coach Jeff Stanek said. "She's able to get past people and get good looks at the basket, and she hits her free throws." The trouble for the Eagles came when the whole scoring load fell on Andrews' shoulders. "Last year, there was a lot of standing around watching Dominique and try to win on one kid's performance," Stanek said. "We need everyone to feed into the offense." Helping that cause is third-year starter Ellie Basinski on one wing, in addition to senior Maddie McHone — a standout track athlete — on the other side. "Maddie loves the game, and she is just an athlete," Stanek said. "She is unbelievably quick, does some great stuff for us defensively and gets some run-out baskets." The Eagles feature a small lineup, but senior Maggie Martine, a roller derby athlete, brings some toughness to the block. "She's a really strong kid, who is not afraid of contact," Stanek said. Centennial is off to a 4-3 start in the preseason, allowing only one opponent to reach 50 points. "Defense is our strong point. Our style is to slow the game down and grind out the game," Stanek said. "We don't force a lot of turnovers, but we play very safe and understand our assignments." 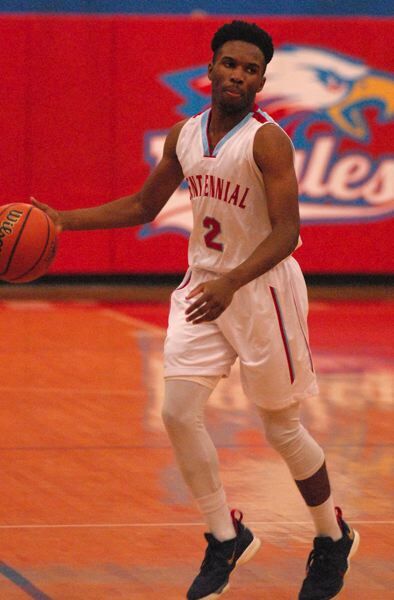 The Centennial boys are led by the backcourt duo of senior Tommy Anderson and junior Jimmie Barton — one of the fastest sprinters in the state. "Jimmie is a slasher, who finds his way into the belly of the defense," Centennial coach John Poetsch said. Senior Andrew Caron provides a scoring threat on the wing, while Jalen Calvert is a force on the boards. "We are not a team that is going to knock down a bunch of 3s, so we want to spread people out and get to the rim," Poetsch said. "We want to play that fast-tempo style, but we need to play some defense to get us going." After winning its season opener at Glencoe, the Eagles have dropped six straight while struggling to score consistently on the offensive end. "A lot of it comes down to shot selection," Poetsch said. "There is a difference between a good shot and one that is not in rhythm. We've gotten down in the first quarter, some slow starts, then we exert all our energy battling back."